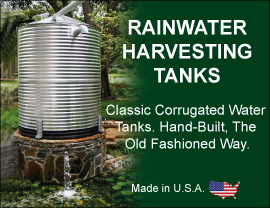 American Tank Company works with one of top manufacturer of quality Stainless tanks, vessels, and specialty equipment. We also offer the capability of custom creating exactly the items you need. Stainless Tanks not only provide you with the quality and beauty of a well-made product, but they are widely considered top of the line when it comes to agriculture, purified water, and chemical storage. Stainless tanks are widely used in various product lines. We also offer various other Stainless Steel products. Call toll free today: 1-877-655-5100 to speak to one of our friendly and knowledgeable Stainless Steel Tank Specialists.